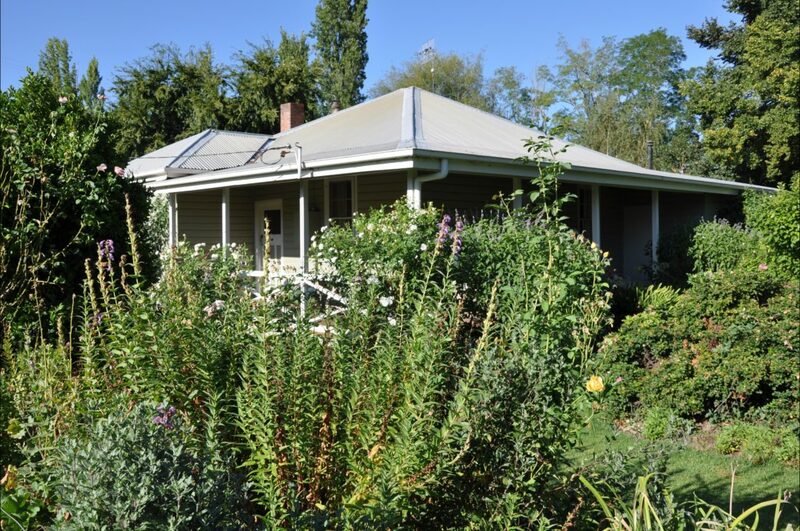 The Honeysuckle Cottage is located in the heart of the Jingellic village and is surrounded by a beautiful English Cottage Garden which meanders down to the banks of the Jingellic creek. The cottage has three bedrooms, fully equipped kitchen, linen provided, electric blankets, ceiling fans, wood burning stove and open fire, laundry facilities and barbecue. It’s only a short walk to the friendly local store for supplies, or to the famous Bridge Hotel for a refreshing drink and a beautifully cooked meal. Honeysuckle Cottage has three bedrooms, one twin room and two double rooms with two extra beds. A fully equiped kitchen, ceiling fans, linen and towels are provided, electric blankets for those cold nights, a television, a wood burning heater and open fire, laundry facilities and a barbecue. Pets are welcome. Horses by prior arrangement.